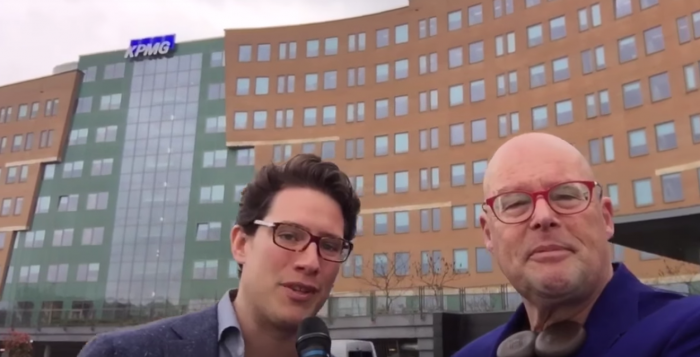 In 2014 and 2015, Rutger van Zuidam and me organized the Dutch National Bitcoin Conference at the ABN AMRO Dialogues House and ING Headquarters. This year, we will be moving our scope beyond bitcoin and into the realm of blockchain. It’s our pleasure to announce that the Dutch Blockchain Conference 2016 will take place on the 20th of June at KPMG Headquarters in Amsterdam. The opening speech will be delivered by Dutch Minister of Finance and Eurogroup chairman Mr Jeroen Dijsselbloem. Buy your early bird ticket or 2-for-1 pack here. In the last two years, we’ve discussed the (potential) impact and opportunities of Bitcoin and Blockchain technology with business and government leaders as well as start-ups. Our goal is to bridge the worlds of today and tomorrow and see how startups can work together with corporates and governments to innovate and create new solutions. We learn best by doing, so this year’s focus will be on the most practical examples and tangible projects using blockchain technology. Our conference has its roots in FinTech, and the disruptive power of bitcoin keeps us sharp and inspired. But in 2016, with all sectors getting on board the blocktrain, ehh… chain en masse, we’ll move our scope beyond finance and welcome speakers and attendees from government agencies, healthcare, energy, logistics, water, real estate and chemical sectors. Because the network of professionals working with blockchain technology is expanding rapidly and the interest in the Dutch Ecosystem is growing internationally, this conference will be in English. The Dutch Blockchain Conference team is currently working on the full lineup of top keynote speakers, startup pitches and an incentive awards ceremony. We are honored to announce that the opening speech will be delivered by the Dutch Minister of Finance and Eurogroup chairman Mr Jeroen Dijsselbloem. Student tickets: € 49,00 inc VAT – apply at student@dutchblockchainconference.com with motivation and student enrolment number.